So much time and energy is spent talking about the mistakes teams make when drafting with the first overall pick in sports. The players who never turn into the superstars that many envisioned. The bulk of the time is spent in commiserating about such mistakes because it is rare for teams to use the top pick to select the best player in the draft when all is said and done. The Seattle Mariners with Ken Griffey Jr. and Atlanta Braves with Chipper Jones built a franchise around their top picks. The Houston Astros are doing the same with multiple top picks. The Washington Nationals had the first overall pick twice and have been successful both times with drafting Stephen Strasburg and Bryce Harper. No team will feel sorry for the Nationals’ success. However Washington is quickly approaching the difficult part of drafting well, paying to retain the talent. Bryce Harper has found a spot few athletes find, people either love him or hate him. There are few people who feel ambivalent about him. Harper’s intensity on the field, chasing every ball hit to him in the outfield, crashing into walls, diving to make a catch, crushing home runs is the textbook definition of playing the game hard and, for many, the right way. That intensity seems to laugh at the notion of getting injured, Harper just wants to win and will do anything to help his team do it. What fan or team would not want a player who brings this sort of intensity to the game, along with elite skills? However, despite his great play on the field, plenty of people do not love Harper. He rubs people the wrong way. Harper brings his own flair to the game and the national media loves him. He has not been bashful in talking about the need for baseball to reenergize, nor is he afraid to tell reporters that their question is “a clown question bro.” The most recent incident was his ejection for arguing balls and strikes from the dugout. He then ran back on the field to celebrate a Nationals walk off victory. Simply coming back onto the field after his ejection was a violation of the rules, which got him a one game suspension and a fine. Yet Harper went even further by getting the umpire’s attention by yelling, “HEY, DUCK YOU!” (edited for the family audience). Every player, coach, announcer, umpire, and fan knows you cannot argue balls and strikes. Regardless whether the umpire was right or wrong, Harper knew arguing would get him ejected. Plenty of players and coaches are ejected for arguing, but once the argument is over, it is over. There is no reason to continue the argument. The umpire was not even paying attention to Harper when he ran back out on to the field, rather it was Harper who got the attention of the umpire to continue the argument. There is plenty to love and hate about Bryce Harper. Defensively, Harper has a career .976 Fielding %, with 39 Assists, and 24 Errors in 1,039 chances. He is not a one trick pony, he is an all-around great player. His skills on the diamond and the stats he has amassed during his young career have garnered Bryce Harper plenty of accolades. 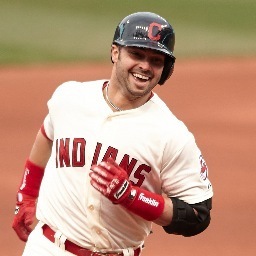 He is a three time All-Star (2012, 2013, 2015), the 2012 National League Rookie of the Year, the 2015 National League Hank Aaron Award winner, he won a Silver Slugger in 2015, and was voted the 2015 National League MVP. Not bad for the first four years of a career, regardless of age. The sky seems to be the limit for Bryce Harper on the diamond. His name is already being compared to some of the greatest players who have ever played the game: Frank Robinson, Mickey Mantle, Hank Aaron, Orlando Cepeda, among others. A player like Harper does not come around often, but the Washington Nationals now have the daunting task of outbidding the rest of Major League Baseball to retain his services. The Nationals put major money down on Stephen Strasburg with his seven year, $175 million contract, the highest ever for a pitcher who has undergone Tommy John surgery. Scott Boras, agent for both Strasburg and Harper, does not give discounts and will potentially use the Strasburg negotiations as a warm up for the Harper negotiations. Bryce Harper and the Washington Nationals have roughly six options as Harper approaches and reaches free agency in 2019. Two of these possible options can be tossed out without much discussion: the Nationals allowing allow Harper to simply walk away as a free agent or signing Harper to a two or three year contract. Allowing Harper to walk away without getting anything in return will not happen for obvious reasons, he is the most valuable commodity in baseball, the Front Office’s’ job is to get a return on its investment. Second, the Nationals will also not sign Harper to a short term deal, because they do not want to simply kick the can down the road a few years into Harper’s prime, ultimately costing themselves even more money. The third option is to trade Harper. This is unlikely but injuries, internal issues between Harper and the organization, and/or a decline in production could see Harper traded away for multiple players in return. The Nationals could also trade Harper if they realize they will not be able to re-sign him. If the latter happens, Washington can almost name its price for Harper. The final three options are the most likely. Bryce Harper could sign a contract similar to Mike Trout, Giancarlo Stanton, or Alex Rodriguez. The Angels signed Mike Trout to a six year, $144.5 million contract; averaging $24 million per season. Trout will be 28 years old when the contract ends, meaning he will hit free agency in his prime. This medium length contract gives Trout the assurance that he is not stuck with the Angels if they continue to not progress towards winning a World Series. It also gives Trout another opportunity to sign a huge contract as the value of contracts continue to grow, hard to blame a player for making as much money as they can during their playing career. The second type of contract Harper could sign would be similar to Giancarlo Stanton’s contract with the Marlins. Stanton signed for 13 years and $325 million. However, Stanton has a player opt out clause after year six (2020) that could make him a free agent entering his age 31 season. This style of contract gives Stanton, or Harper, the security of a long term contract regardless of production or injury, yet also allows them to reenter the free agent market should they believe their skills are or soon will be under paid. This also keeps teams accountable to continue building a contender, one that is competing for a World Series. The Marlins are not known for building and maintaining a winning team, if Miami goes through yet another fire sale and only Stanton is left he has the ability get out of town instead of spending his best years on a team perpetually rebuilding. The final option for the Nationals is to sign Harper to a contract similar to the contract Alex Rodriguez signed with both the Texas Rangers and New York Yankees; specifically Rodriguez’s contract for 10 years, $252.87 million with the Yankees. The contract was for the peak of Rodriguez’s career and guaranteed him a long career regardless of injury, lack of production, or in Rodriguez’s case PED suspension. The Yankees were never going to tear the team down and rebuild, it is not how they do baseball in the Bronx, instead they went after big free agents. However nearly every other team does or will rebuild at some point, signing a long contract can tie a player to a team for the peak years of their careers will no options for getting away from a team going nowhere. Currently the best contract for Bryce Harper to sign would be one similar to Giancarlo Stanton. It protects Harper should he injure himself, such as Alex Rodriguez and his hips, or his production flames out for some non-injury reason. The contract would also enable Harper to pressure the Nationals to build and maintain a World Series contending team. No player, especially one as fiery as Harper wants to spend their career continually coming into Spring Training knowing that their team has no chance to make the playoffs, much less win a World Series. Ensuring there is an opt out clause in the contract would mean hitting free agency in his prime, and netting Harper yet another monster contract; if he so chooses. We can only speculate what the money will be for Harper and who will be paying him. The Strasburg contract signals to Harper that Washington is serious about winning and retaining homegrown talent. While the Nationals probably overpaid for Strasburg, primarily due to injury concerns, it shows the team is willing to pay for what it wants. The Nationals’ current front office is not the Yankees of George Steinbrenner or the Dodgers of a few years ago, they do not have an endless supply of money. Paying Harper will require the team to reallocate money from expiring contracts to pay Harper what will most likely be the largest contract in history both in terms of pay per season and overall. Harper signing a Giancarlo Stanton-like contract in 2019, or slightly before, will raise the bar for the second contract that he could sign if he opts out in his prime. It’s hard to conceive a situation where he doesn’t. If Harper were to sign a 10 year, $400 million contract in 2019 when he is 26 years old and then opt out after five or six seasons, he would return to the free agent market at 31 or 32 years old. This dramatically increases the importance of the first contract Harper signs because it will set the table for the second. There would be teams willing to give a 31 year old a long-term deal. Josh Hamilton, with all his personal struggles got five years, $114 million at 32 years old. Albert Pujols got 10 years, $240 million at 32 years old. Robinson Cano also got 10 years, $240 million at 31 years old. Harper should easily be able to sign a new contract for another 10 years and $400 million, if not more money. While Hamilton, Pujols, and Cano all signed with American League teams, thus enabling them to DH later in their careers, Harper could choose to remain in the National League and not use the DH like Barry Bonds, minus the PEDs. The competitor in Harper would most likely want to see if he could beat the legends of the game like Babe Ruth, Hank Aaron, Willie Mays, Mickey Mantle, and Ted Williams using the same rules they played under; not padding his stats as a DH late in his career. Assuming Harper wants to stay in Washington, how would the Nationals afford to pay Harper the largest contract in baseball history? The money would come from three current Nationals players who will reach free agency before Harper: Jayson Werth, Daniel Murphy, and Gio Gonzalez. Jayson Werth’s seven year, $126 million contract with the Nationals ends after 2017. Werth will be paid $21 million per year in the final three seasons of the deal. He will be a free agent entering his age 39 season, doubtful Werth will see another large contract. Daniel Murphy will reach free agency at the end of the 2018 season. There is usually not a ton of demand for a 34 year old second basemen, especially one making $17.5 million in the final year of his contract. The Nationals should be able to develop a respectable outfielder and second basemen between now and 2019. Gio Gonzalez will enter free agency after the 2018 season, when he is 32 years old. Gonzalez could be the price Washington has to pay to re-sign Harper. He is an excellent pitcher, but a player like Harper is a rarity and a team ought to do everything it can to retain such a special player. $12 million a year will be a discount for a pitcher like Gonzalez, who can get more as a free agent assuming he is healthy. The Nationals can lay the foundation for a deal with Harper by simply shifting the $21 million from Werth, $17.5 million from Murphy, and $12 million from Gonzalez to pay Harper. Letting two aging players go in Werth and Murphy would free up $38.5 million a season. The increasing salaries could make the $38.5 million a season within a reasonable jump in pay for an elite player. The Scott Boras factor could require a little more money, thus forcing the Nationals to choose between Harper and Gio Gonzalez, which should not be difficult. $50.5 million per season should be plenty for Washington to retain Bryce Harper, if Harper wants to remain with the Nationals. $40 million per season ought to entice Harper, and any other baseball player, to remain in Washington. The Nationals would give up three players for one, which would be the smart move for the franchise. The Nationals will also be paying Harper somewhere between $5 and $10 million in his final season before free agency. Washington should be able to develop at least one of the three pieces it will lose to sign Harper. A young outfielder or a young starting pitcher or second baseman should develop in their farm system. The homegrown player should cost no more than $3 million per season, and even this is at the extreme. This would leave between $14 and $19 million for the Nationals to go out and sign a free agent starting pitcher and position player, both of which are possible. The money will follow Harper wherever he chooses to continue his career once he reaches free agency. Despite all the things so many people hate about Harper, the Nationals love him and want to keep him in Washington at least through the peak of his career. Few players are compared to Frank Robinson, Hank Aaron, Ken Griffey Jr., and a slew of other Hall of Fame players at any point in their careers. Harper is 23 years old and is entering his fifth season in the Majors. He is truly a special player, one that the Nationals should do everything within their power to re-sign as he approaches free agency. The Winning Run is back again with another attempt at predicting the outcome of the upcoming MLB season. The last two seasons we have tried and failed miserably to accurately predict what would happen. We have failed much more than we have found success, much like in real baseball. These predictions are not designed to jinx particular players or teams. These are honest predictions, designed to predict how we collectively see the 2016 season playing out. We can say without a doubt that our only perfect prediction is that reality is better than fiction. Here’s the breakdown of how we each think the divisions and playoffs will end up. Our final standings, based on the average placement between the four of us, will also include a brief scouting report from Bernie, as to what he sees in each team heading into the 2016 MLB season. His personal predictions were close to the collective predictions, and we have noted where they vary greatly. Let us begin with the Senior Circuit. *Note* An exclamation point (!) after a team name denotes a Wild Card berth. The Mets shored up their interior defense by getting Neil Walker and Asdrubal Cabrera. If you watched last season’s playoff games, the Mets’ rotation always seemed to get beaten up the middle. Those guys will also likely provide a lot more consistent offense than Wilmer Flores or Daniel Murphy. The Mets are looking to play deep into October and I think they could do it. The Nationals are really the team equivalent of their star player, Bryce Harper; supremely talented, but mentally dysfunctional. There is a serious lack of team discipline and I don’t think Dusty Baker is the one to bring it. This is the major hurdle to the Nationals winning the division. Giancarlo Stanton’s contract has me believing that the Marlins are in it to win it now. They’ve always been good at developing talent so Manager Don Mattingly should have something to work with and collect some wins. The Braves did some house cleaning, clearing the way for the wealth of talent in the minors. I’ve got to question whether they can generate any more runs this year than they did last year though. But they won’t be in last place. I really shouldn’t have to say anything about this. No real change to expect anything better this year. 2 Pittsburgh Pirates St. Louis Cardinals – ! Pittsburgh Pirates – ! Chicago Cubs – ! Let’s be honest, they’re the Cubs. If they’re going to win it, it’s as Cinderella (Bernie has them going into the playoffs as a Wild Card). Chicago needs that storyline. I really like their rotation and bullpen but they overworked Jake Arrieta because they didn’t trust enough of their other players. That’s got to change. I liked the way AJ Burnett found himself in Pittsburgh and I think Jonathon Niese may very well have the same sort of fortune in the Steel City. Michael Morse was a fun guy to watch in Washington, I’m going out on a limb to say he finds himself again and becomes a solid 1B for the Pirates this season. I’m still puzzled how these guys didn’t win the division last season. Last year, El Birdos found the fountain of youth for their stars. If it happens again this year, then the zombie apocalypse has started with Matt Holliday and Yadier Molina. Or maybe they need to be checked out for cybernetic implants. The Cincinnati Reds may have done some house cleaning having traded away Todd Frazier and Aroldis Chapman. They still have some talent that I wouldn’t count out. What they definitely aren’t doing is wallowing. Speaking of wallowing…you’ve got to wonder about the Brewers’ pitching. Like at what point do you ask whether you’d have better luck regularly shuffling up from your AAA squads just to give you opponents less time to scout out your pitchers. 2 Los Angeles Dodgers – ! Arizona Diamondbacks -! Arizona Diamondbacks – ! Arizona Diamondbacks – ! I don’t really think pitching was their weakest issue last season but I think they are going into 2016 with one of the most enviable rotations a manager could ask for. I’m not completely sold on Santiago Casilla and bullpen. If Denard Span can stay healthy, he’s a great addition to a strong lineup that is capable of getting the ball in play and moving around the bases. Zack Greinke and Paul Goldschmidt. Shelby Miller will get the run support he needed in Atlanta. But I don’t see enough depth here to remain consistent through the season. The bullpen can probably step in to help out the back end of the rotation. The lineup is young. Maybe they’re more disciplined and hungry than I think and could be a definite Wild Card contender. The only reason I’m putting the Padres over the Rockies is that they made some interesting pushes last season that indicate to me they could get it together. Doesn’t mean there’s enough talent here to make the playoffs though. The worst team ERA in 2015 and that’s with a pretty talented defensive infield. I’m surprised the fielders have enough gas in the tank to swing a bat when they’ve got to run around chasing hits all the time. 2 Boston Red Sox – ! Tampa Bay Rays Boston Red Sox Baltimore Orioles – ! The American League East was the hardest division to predict, as an argument could be made for each team winning the Division. Here are Bernie’s thoughts. Biggest run differential of the 2015 season. Picking up Drew Storen was a great move to support their starting rotation. This team has what it takes on paper. Ugh…I feel sick doing this. The Red Sox needed some serious pitching help. Clay Bucholz simply isn’t an ace. So they got one in David Price. They also picked up Craig Kimbrel so they’ve a good bullpen punch with him and Koji Uehara. As David Ortiz will be riding into the sunset this season, the Red Sox will be a good team to watch. There’s a lot of great talent on this team. They’ve got a great rotation and bullpen with two highly competent catchers. I would somewhat question their interior defense but with Adam Jones, Manny Machado, and new addition, Mark Trumbo, the Orioles have got a lot of heavy bats to knock in runs. This is a well-balanced pitching and defensive team but nothing exciting enough to write home about on the offensive side. 2 Detroit Tigers – ! Cleveland Indians – ! Kansas City Royals – ! Cleveland Indians – ! They’re the champs so it’s sort of needed to give them the nod for their division. Plus, the 2015 squad wasn’t made up of veterans in the twilight of their careers reaching deep down for that extra something to win it all. They’re young and agile. They get on base. They aggressively move around the bases. No one’s yet figured out how to stop them or slow them down. These guys have a surprisingly good rotation with Corey Kluber, Danny Salazar, Carlos Carrasco, and Cody Anderson. When I say surprisingly, I’m saying that how did they not win more? Francisco Lindor is young and if he’s coming into form, then we could be seeing a Wild Card contender here. Jordan Zimmermann is not David Price and I’ll let you figure out whether that’s a good or bad thing. I actually think Justin Upton was a good pick up for the Tigers but I’m not convinced they can make the jump from bottom of the division to much higher. I want to put this team higher but I think their second place divisional finish last season was more due to mishaps from other teams than their own solid play. Don’t get me wrong though, they’re on the right track. Just not this season. The addition of Todd Frazier will help them generate some more offense. But is the increased offense a wash after losing the veteran leadership of Adam LaRoche to early retirement (more on that later)? Whenever issues involving a front-office exec doing something about the locker room make the news, you just know there’s some serious dysfunction going on. I was really impressed by how the Houston Astros finished off the 2015 season. Something clicked and I think they’re going to ride this wave. Adding Ken Giles to the backend of the bullpen already featuring Luke Gregerson makes up a dangerous one-two punch to shorten games. I think the bigger reason I’m putting the Angels here instead of the Rangers is more on Rangers. 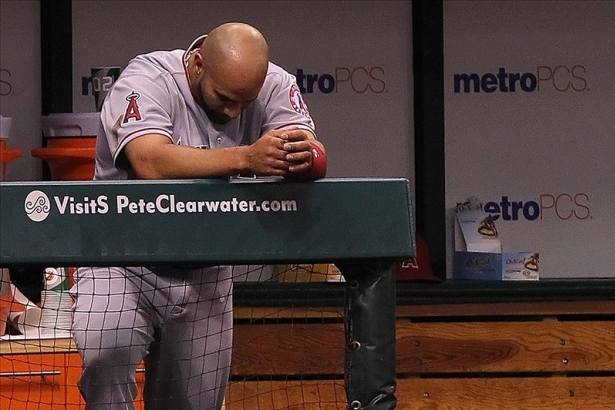 I think Albert Pujols will still be remarkably dangerous in the batter’s box. Something about the balance on this team with Mike Trout’s hustle gives me a good feeling. The Rangers are not going to take the proper steps to recover. I’m calling that they’re going to try starting the season hot and aggressive. By the All-Star break, this team will be on life support and need some serious therapy. But in reality, they look a better version on the Angels and since this prediction will be wildly off, they may very well win the division again. Nori Aoki was a good pick up to strengthen their outfield and improve getting on base. They’re going to rely too heavily on their rotation to go deep to win games and that’s not good for Felix Hernandez nor Hisashi Iwakuma. If Marcus Semien were a better fielder, I’d have more faith in this infield. On paper, this team would be a solid 2nd place team in the division. I just can’t make that call. October is special, as the best baseball is on display and tensions continually grow throughout the month. The playoffs begin with the Wild Card games, which are a one game winner take all showdown. Wild Card teams better bring everything they have, or they will be on vacation. In the National League, the Pirates will finally get out of the Wild Card round. Gerrit Cole will have carried the pitching staff throughout the season, so why not one more game. In the American League, the Indians strong starting rotation will have saved the Cleveland bullpen and allow fresh arms to come out of the pen and dominate the Angels hitters when the pressure is on. In the National League, the Pirates will not be able to overtake the Cubs. The Pirates are a great team, but they have the misfortune of playing in the NL Central where the best team in baseball, the Cubs, also plays. The young arms from Queens and a more predictable offense will lead the Mets past the Dodgers who will miss Zack Greinke more in October than during the regular season. In the American League, the Astros will continue to play complete baseball and overcome the Royals, who after back to back trips to the World Series will finally run out of gas. While Cleveland’s pitching led them to the playoffs, it will be no match for the offensive power of the Blue Jays. Josh Donaldson is the reigning AL MVP, and yet he is most likely not the chief offensive threat for Toronto, as Edwin Encarnacion and Jose Bautista can launch a baseball with the best in the game. A rematch of the 2015 NLCS. Two great teams, but the Cubs finally get over the hump and return to the World Series for the first time since 1945. The Cubs are a year older and wiser and have extraordinary talent at bat and on the mound. The Mets are a great team, but they lack the offensive prowess to overcome the Cubs. In the American League, Toronto will find out that teams cannot rely on power to guide them to a championship, there has to be a backup plan. The Blue Jays are not flexible enough to meet this challenge. The Astros have built a potential juggernaut in Houston, which relies on power, pitching, speed, defense, and hustle. Houston wins by the sum of its parts. Sorry Cub fans, you will have to wait until next year…again. The Astros win it all in 2016. The speed of Jose Altuve, the power of Evan Gattis, the starting pitching of Dallas Keuchel and Collin McHugh, the bullpen of Ken Giles and Luke Gregerson, the all-around ability of Carlos Correa, not to mention George Springer and Carlos Gomez puts Houston over the top. The Cubs have everything to win. The young core of Kris Bryant, Anthony Rizzo, Addison Russell, Kyle Schwarber, plus Javier Baez all can continue to grow with a solid rotation of Jake Arrieta, Jon Lester, and John Lackey. However, the Cubs are missing that it factor. Joe Madden will get the Cubs o click eventually, but in 2016 they will come one game short of that ever elusive World Series Championship. So there they are, the 2016 predictions by The Winning Run. Are we right about all our predictions, doubtful. Only time will tell how right or wrong we were with these predictions. Welcome to the 2016 MLB season, enjoy another great season of baseball. Every time a major free agent signs with a new team the fans celebrate and begin dreaming about the future possibilities of the team. If you read the newspapers or internet after every blockbuster free agency signing, it would be difficult to believe anything other than that team is now destined to at least reach the World Series, if not win it all. This is especially true when starting pitchers sign major deals. While the debate over what the future holds for the player and their new team should ignite the passions of the fans and media, this offseason feels as though there is an additional layer to the hype and excitement. The fans buying tickets, jerseys, hats, television packages, etc. are the driving force for the business of baseball. If fans were not willing to spend $10 for the cheap seats or hundreds of dollars for premium seats, not to mention food, clothing, and media, the players and owners would not see the financial benefits they do. Every free agent dreams of cashing in on their years of hard work for a contract like the one David Price has with the Red Sox. Price signed for seven years, $217 million contract. He does not have to worry about working another day in his life. The same is true for Jason Heyward with the Cubs (eight years, $184 million), Johnny Cueto with the Giants (six years, $130 million), and Justin Upton with the Tigers (six years, $132.75 million). Their talent on the diamond has more than secured each of their financial future. Financial security also exists for those players not in the upper echelon of free agents. Non-ace starting pitchers can often dictate whether a team contends for a World Series, or even for the playoffs, as much as an ace like Felix Hernandez can. Excellent pitchers like Scott Kazmir can dictate how a team plays throughout the season. This reality has resulted in Scott Kazmir signing with the Dodgers (three years, $48 million). Fans in San Francisco, Los Angeles, Detroit, and the north side of Chicago should all rejoice in the talent their teams’ have signed during this offseason. Before those dreams of World Series championships and parades permanently ingrain themselves into their minds, it would be best to temper those dreams. This offseason has shown that both the teams and the players want to win and win now. Owners are using deferred money to soften the burden of paying large contracts. Consider Chris Davis’ contract with the Orioles. He signed a seven-year, $161 million contract, with $42 million of the contract deferred. The Orioles will continue paying Davis until 2037. The financial deferment will enable the Orioles to spend money elsewhere in the hopes of winning more games and hopefully a World Series. Ownership is not alone in this win now mentality. Players understand they only have a small window to win at least one World Series during their career and they prefer not to waste valuable years playing for teams that have no chance of making the playoffs, much less winning a World Series. The no trade clause has long been the means by which players protected themselves against a trade to a terrible team. However, what if the team they are playing is that terrible team? Not every player will want to opt out of their contract. Even some elite players may decide it is best to remain with a team despite not consistently contending for the playoffs. If Todd Helton had an opt-out clause in the nine year, $141.5 million contract that he signed in 2001, few would have blamed him if he had left the Rockies before the end of the contract. During Helton’s 17-year career, Colorado had five winning season, made the playoffs twice, getting swept by the Red Sox in the 2007 World Series and losing to the Phillies in the 2009 NLDS. Helton remained an elite player throughout his career, but he rarely played for a team that had a hope of making the playoffs. While Helton is a Rockies legend, having spent his entire career playing in Colorado, he could have moved on from the Rockies later in his career if he felt a better situation for winning was available. Given the option to leave the Rockies does not mean Helton would have left, but it could have pushed management to field a more competitive team in the short term instead of waiting for the team to rebuild through homegrown talent. Opt-out clauses seems to have gained enormous steam this offseason. Players will nearly always accept the large contracts from teams for their services, as they should. There does come a point for every player, when their financial future is secure, that enables them to prioritize winning and extending their careers. The opt-out clause empowers players to have more control regarding their career arc. They are no longer stuck with a team if the team’s plan for winning does not materialize. Players also gain time as they do not have to spend prime playing years waiting to become a free agent and lose interest from contending teams. We may not see Johnny Cueto, Jason Heyward, Scott Kazmir, David Price, or Justin Upton fulfill the full length of their new contracts from free agency. Each player has an opt-out clause, enabling them to return to free agency in pursuit of a larger payday or joining another team they see as a better fit. All the big free agent signings of this offseason could be back on the market following the 2018 season. The excitement from these free agent signings may only last a few seasons. The opt-out clause in these contracts could act as a player friendly way to rent their services to a new team, much like teams trading away soon-to-be free agents to contenders. Players are in a win-win situation with these contracts, as they can now maximize their potential to earn money, play for winning teams, and have longer careers. The focus has long been on the downside for the team when they sign players like Albert Pujols or Robinson Cano to long and expensive contracts. The final years of these contracts result in players receiving higher annual salaries than their abilities would garner them if they were up for a new contract. Such long contracts also handcuff most teams in their efforts to field a contending team. The Texas Rangers would have remained irrelevant had they not traded Alex Rodriguez to the Yankees. The Rodriguez contract (10 years, $252 million) was too large for the team to handle financially. Beyond the financial aspects, the rise in opt-out clauses means players have the opportunity to leave a team if they believe a better contract and situation exists for them elsewhere. The contract signed by Giancarlo Stanton last offseason quietly signaled the shift away from gigantic contracts to shorter contracts that are more player friendly. The Marlins, aside from needing to regain some credibility with baseball fans in south Florida, solidified Stanton as the foundation they would use to build a contender. Stanton’s contract blended the old and new approaches to signing big free agent talent. Miami wanted to prevent Stanton from ever reaching free agency and signed him to a 13 year, $325 million contract. This means Stanton should be playing in South Florida until he is 37, maybe 38 if the Marlins exercise a team option for the 2028 season. The years and the money are comparable to the contracts for Albert Pujols, Robinson Cano, and Alex Rodriguez. These 10+ year contracts lock down a player well beyond their productive seasons. While this contract may not seem like a move away from those other massive contracts, the inclusion of an opt-out clause was striking. However, Stanton received an opt-out clause following year six, the 2020 season. At the age of 30, Stanton could still command an enormous contract on the free agent market. The opt-out also prevents Stanton from playing the vast majority of his career for the Marlins, if ownership is not willing or able to put a winning product on the field. The Giancarlo Stanton contract gave the Marlins, and their fans, the stability of having their player signed long term yet it gave the player the ability to hold the team accountable. The ability to opt out of a contract may transform the way free agency operates. Players now have the ability to hold their team accountable. Opting out means a team cannot place all of its faith in building a winning team in a single player, or simply building for the future. Baseball is a team sport and players expect and demand that management works to build a winning team. This new approach to signing players to contracts allows successful teams to sign premium players for the long-term, while giving players the ability to leave a team for a better situation or payday if they desire. No player wants to make less than they are worth or languish with a team going nowhere for their entire career. Fans must understand until a player decides not to opt out of the contract the new free agent has in reality signed for only a few years. Opt-out clauses create two contracts out of one. The player holds all the cards in deciding if the second contract comes into effect. Fans can dream, but their dreams need to focus more on short-term results instead of building a dynasty with their newly signed free agent. 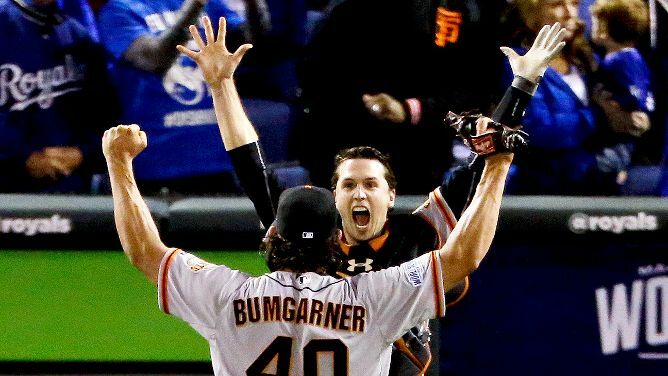 Last season The Winning Run attempted to predict the outcome of the 2014 Major League Baseball season. We were not highly successful in our first attempt. Not to be deterred by our lack of success, we are back to try again. Once again, let us apologize in advance for jinxing everyone’s favorite team, whether it is by dooming your team before it had a chance to do much better or by sending it spiraling down in flames as it does much worse than expected. Either way in which we have ruined the chances of your team this season, we are sorry. The National League East could be one of the weakest Divisions in all of baseball. Beyond the Nationals, the rest of the division could struggle. The Marlins and Mets could threaten for a Wild Card spot, but each have deficiencies that could prevent it from reaching the playoffs. The Braves could surprise people if the bats and pitchers keep up with one another and hover around .500. 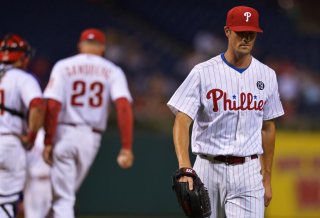 The Phillies will be the worst team in all of baseball. A successful season would be to avoid 100 games, but even this could be out of reach in Philadelphia. Every team in the National League Central could win the Division or finish last. The Cardinals should continue to be the class of the Central, as they have the pitching and the bats to match up against any team in baseball. The Pirates could pace with the Cardinals all season, but they may fall a few games short of the division based upon a few miscues throughout the season. The Cubs are dramatically improved, but playing in the Central will keep them out of the playoffs in addition to their young stars not all fully rising to their potential this season. The Brewers are dependent upon their lineup supplying the offense that the pitchers need, but there are too many chances for the bats to go quiet throughout the season. 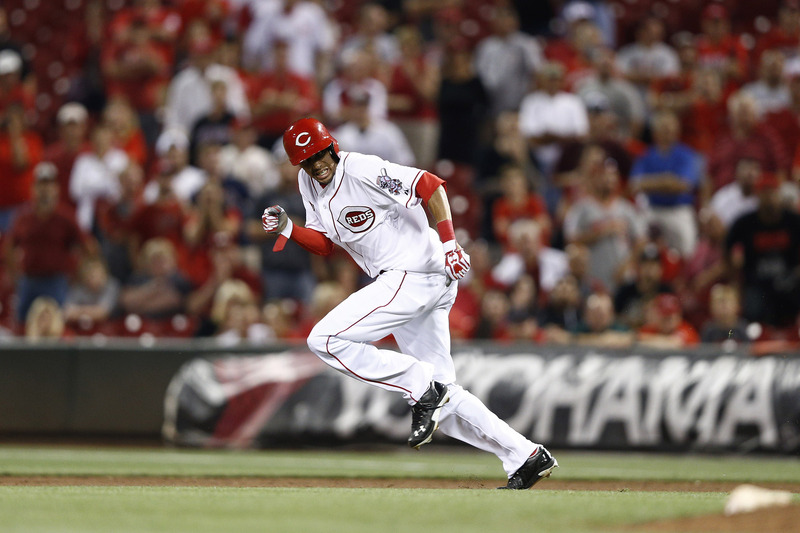 The Reds are recovering from losing several keys pitchers from last season. The Reds could rise out of the cellar, but only if Jay Bruce, Joey Votto, and Brandon Phillips all have productive and healthy seasons. The Dodgers are the clear class of the National League West; they have the arms and bats to compete with any team in baseball. Ultimately, the Dodgers will chase the Nationals for the best record in the National League. The Giants will recover from their October success last season, breaking the cycle of boom and bust that they have experienced the last four seasons. 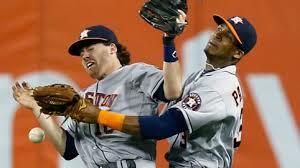 They will make the playoffs as a Wild Card, but they will not win another World Series this season. The Padres like the Marlins and Cubs are greatly improved, but will not be able to put it together this season to reach the playoffs in the first season of their new reality. The Rockies will continue to be successful offensively, but their pitching staff is not ready to take the team to the next level and compete for a playoff spot. The Diamondbacks are in full rebuild, and will be searching for answers in every phase of the game. The trade of Trevor Cahill was the clearest sign of Arizona looking to the future beyond the 2015 season. Now let us examine the Junior Circuit. The Blue Jays finally have all the players they need to win the American League East. Even with the loss of Marcus Stroman for the season, Toronto has the arms and bats to win the Division. The Orioles will return with another strong team. If Chris Davis or Manny Machado can return to half of their 2013 form Baltimore will stay in the hunt for the playoffs into the final days of the season, but could ultimately fall short. The Red Sox are better than last season, but their pitching leaves too many questions for the bats to make up. Boston should finish above .500, but they will not play in October. The Yankees are a mixture of old talent and youthful ignorance. New York may face more injury worries as the season progresses, which could derail any dreams of reaching the playoffs, or even .500. The Rays are in full rebuild mode. Tampa has to rediscover the magic of over performing if it hopes to avoid finishing last in the East. The American League Central could be the best Division in all of baseball. The Tigers should be the class of the Division so long as David Price, Justin Verlander, Miguel Cabrera, and Victor Martinez are able to stay healthy. The Indians will finally get over the hump and make the playoffs as a Wild Card. Corey Kluber needs another good season, not necessarily another Cy Young season, and young stars like Michael Brantley need to emerge to power Cleveland back to October. The Royals are still recovering from their World Series hangover. While they will be competitive until late in the season, they will not make a return trip to the playoffs, as the loss of James Shields and Billy Butler will be the difference this season. The White Sox should be much improved but in the Central, it could be difficult to crack the top three in the division even with the addition of Jeff Samardzija to the rotation and David Robertson to the bullpen. The Twins need their bats and arms to light up the box score this season. The continued worry about the health of Joe Mauer and the suspension of Ervin Santana could prevent Minnesota from reaching .500. The American League West has three potential Division winners. The Angels once again have a tremendous offense led by the best player in the game, Mike Trout, a star looking to rediscover his old form, Albert Pujols, and a declining star, Josh Hamilton. If the Angels pitchers can stay healthy, they could win the Division. The Athletics will once again work their magic and surprise everyone to finish the season tied with the Angels. Another star will emerge in Oakland, a player who another club gave up on and let go. The Athletics and Angels will have to play a one game playoff to determine who wins the Division and who is the Wild Card. Ultimately, the Angels will win the Division and send Oakland to the Wild Card. The Mariners will unfortunately fall just short once again and miss the playoffs. They need a bit more offense in Seattle if they are to reach to playoffs, but that will have to wait until 2016. The Astros are once again going to take a huge step forward. Houston should finish .500 or better thanks to the continued development of its young stars in Jose Altuve, George Springer, and Collin McHugh. The Rangers should be able to avoid the injury plague they suffered from last season; however, they still lack the pitching to compete, especially after losing Yu Darvish for the season due to Tommy John surgery. October will once again give us some great moments to remember, beginning with the Wild Card games. In the American League Wild Card game, the Athletics will have spent too much energy getting to the Wild Card game to overcome the Indians. Cleveland will continue on their excellent season into the Divisional Series. In the National League Wild Card game, the Pirates will finally give Pittsburgh the full playoff series it has been waiting for since 1992. The Giants will finally run out of gas after back-to-back seasons of hard-fought competition to reach October. In the American League Division Series, the Blue Jays will run through the Indians after Cleveland runs out of gas fighting through the Wild Card. Pitching should be fairly even, but offensively Toronto should have an advantage with Jose Bautista and Edwin Encarnacion. The Angels will once again come up short due to a lack of pitching to match up against the rotation of the Tigers. Detroit has the best hitters in baseball in Miguel Cabrera and Victor Martinez, who can make up for any problems the pitching staff encounters. In the National League Division Series, the Cardinals will fall to the arms of the Dodgers, as Clayton Kershaw and Zack Greinke finally translate their dominance to October. The Nationals will continue their dominance as they fight past the Pirates. While the series could be tight, Washington has the pitching staff to quiet the bats of Andrew McCutchen, Josh Harrison, and the rest of the Pirates. The Championship Series will pair off great offenses in the American League as the power bats of the Blue Jays match up against the all-around hitting ability of the Tigers. The experience and rotation will be the difference for Detroit, even if Justin Verlander and David Price are not in vintage form. In the National League, the Championship Series will see the matchup of two great pitching staffs. Los Angeles will send Kershaw and Greinke to the mound to face off against Max Scherzer, Gio Gonzalez, and Stephen Strasburg. The Nationals will stop the Dodgers as Washington has a deeper roster and the ability to recover if any of its starters faulted. 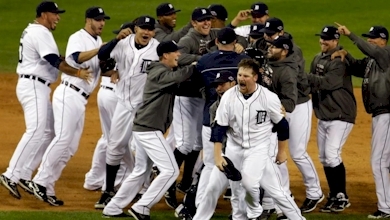 The 2015 World Series will pit the Washington Nationals against the Detroit Tigers. Both have excellent pitching staffs and line-ups. Detroit has the better lineup, while Washington has the better pitching staff. The biggest advantage exists in the lineup for the Tigers, which will propel Detroit to another World Series victory in six games. These are our predictions for the 2015 Major League Baseball season. Love it? Hate it? Time will tell if we are right or wrong. We never claim to know what will happen, but this is what we are predicting to happen. Now it is time to watch how bad our predictions turn out to be once they meet reality, while enjoying another great season of baseball. Teams and fans lose their minds every year when their team is picking first in the draft. Fans and pundits have a million opinions on what the team should do with the pick. Pick the latest can’t miss phenom, trade down to stockpile talent, select the player who is ready to contribute now. The draft is how a team turns it fortunes around and reenergizes its fan base. The draft has an immediate impact on the success of the team. All of this is true, for football and basketball. The draft for baseball is different, and I would say better. Basketball and football are here and now sports. They are built on the highlight reel. Baseball is slower; it is not concerned on the highlights. The concern in baseball is building towards success, which is achieved over a long season. Players don’t achieve instant success; they grow and mature into it, which is better because they can make mistakes without being under the full media spot light. Also allows them to not be overwhelmed and blow all their money like so many do in basketball and football. There are just as many fools with their money in baseball as there are in other sports; however the slow climb up the ladder enables players to gradually increase their pay. This stands in stark contrast to basketball and football where the players go from making nothing to college to making millions within months. I will never begrudge someone for making money, which is the point of a job. Some people work in a cubicle or with their hands in a plant, these individuals play a sport. They are elite at what they do and are compensated accordingly. Do I think some players are overpaid? Yes, but this is only in comparison to the others around them. Again though, they should make all the money they can. Baseball has the minors. Basketball and football has college. Baseball you can be drafted out of high school, during your time in junior college (if you go that route), or once you are an upper classman at a four year college. Basketball you have to be out of high school before you can be drafted. Plenty of players are one and done, look at the University of Kentucky. You can be drafted any year after your freshman year, but the trend now seems to be if you do not leave school early you are not going to be drafted, or at least a high lottery pick. In football you can only be drafted after you have been out of high school for three years. More and more players are leaving college for the NFL as soon as they are eligible. These players who decide to leave school early for the NBA or the NFL are smart to do so if they can become successful at their profession. I doubt any of us would look down on a musician who left school to play for an elite orchestra. Make money while you can. Athletes have a small window of opportunity and need to take full advantage of this window. Unlike basketball and football it is not unusual for a drafted player to not sign with the baseball team who drafted him. Baseball is more forgiving as it gives players time to consider their options and decide what path they want to take in their career. The MLB draft is not the finale in the way the NFL and NBA drafts are. Players have more control of where they will play. If they feel they can improve their draft position after high school they can go to Junior College, if they think they can still improve then they can go to a four year school, if they think they can improve after their junior season then they stay through their senior year. A player could potentially be drafted four before they run out of options as to whether or not to wait to sign with a Major League team. Some players are ready to turn professional right out of high school, others need a year or two, and others need four or five. Baseball allows them some flexibility in deciding when they are ready to move to the next level. 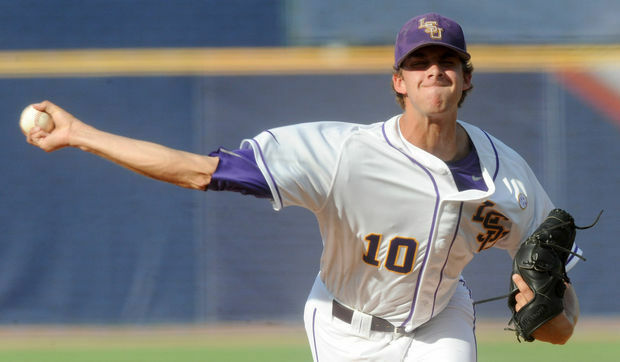 The Major League Baseball draft has plenty of future stars who are waiting to show themselves. If a top pick does not become an elite player, they are rarely labeled as a bust. Everyone in and around the game understands that baseball is a hard game, and to play it at the highest level is no easy task. As Hall of Famers Ted Williams and Willie Stargell both observed, hitting a round ball with a round bat squarely is extremely difficult. For every Ken Griffey Jr. and Chipper Jones selected with the first pick there is Steve Chilcott, Brien Taylor, and Matt Bush. For every early round star there is a Ryne Sandberg (20th Round), Nolan Ryan (10th Round), Albert Pujols (13th Round), Mike Piazza (62nd Round), Roy Oswalt (23rdRound), Keith Hernandez (42nd Round), and John Smoltz (22nd Round). There is talent to be found in the later rounds. Scouting Departments must be attentive in their work, as a successful draft could be if two of the picks eventually make it to the Major Leagues. Scouting is and always will be an inexact science. A player can look good on paper and against high school or college competition, but not all of them can make the transition and be successful playing against professional talent. The closer you move towards the Major Leagues the tougher the competition and let more that is expected from a player. Only a select few and ride their raw talent to the Majors. Often it requires years of hard work and development to make it to the top. The Major League Baseball Draft is here. Pay attention to it, because you can see the players you will be cheering in the future now. The top picks are there for a reason. They are the top prospects, but remember they are prospects. Nothing is guaranteed to anyone in baseball. The first pick can flame out or get hurt. A late round draft pick that was selected simply because someone called in a favor can turn into a Hall of Fame caliber player. The draft for baseball is about finding the few diamonds among the other shiny stones. These players will not be playing in the Majors this summer; rather those who do make it will show themselves in a few years. Baseball is a game which is about the cumulative not the instantaneous. The Draft shows the potential which teams believe players have. However only time will tell which players have the necessary skills, mental toughness, can avoid injuries, and get a little luck along the way to make it to the Major Leagues. Let me begin by apologizing to everyone for jinxing their favorite time. I have the ability to ruin a good thing in baseball when I suggest the individual or team will be successful. Don’t believe me, ask the people I play fantasy baseball with. In the last two years I have drafted Roy Halladay, Kris Medlen, Jurkson Profar, Mike Minor, Matt Kemp, Albert Pujols, ect. Understand now? So in keeping with this tradition I thought The Winning Run might offer up our own predictions for every team heading into this season. I am sure that we, myself and two contributors, either are completely wrong or just ruined the season for someone by believing in them. If this happens, we are sorry, but nevertheless here are our predictions. 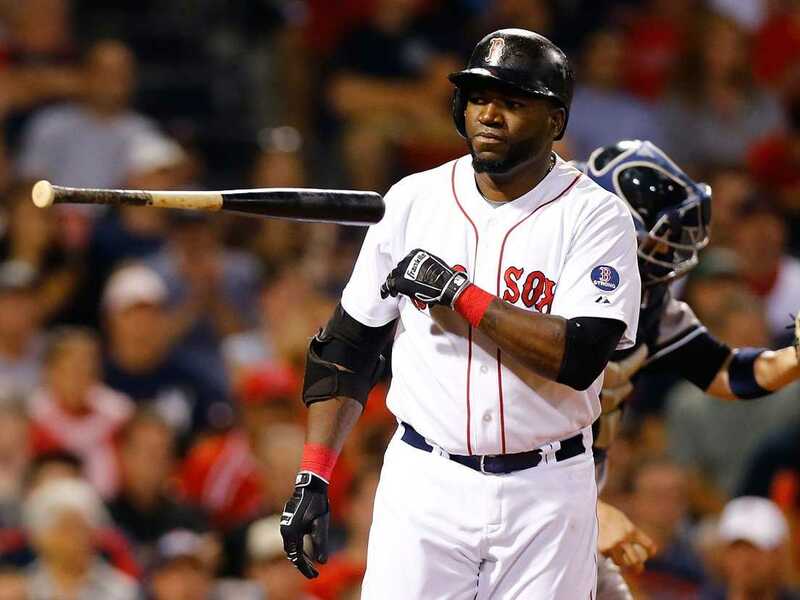 Not every bounce may go David Ortiz and the Red Sox way this season. The Rays, Red Sox, Yankees, and Orioles could finish in any order 1 through 4. The Blue Jays are the clear favorite to finish fifth in the East. The Rays have the youth to stay healthy which the Yankees lack and the pitching which the Orioles lack. Repeating as World Series Champions is a difficult task. Nearly all the breaks when Boston’s way last year. It is time for the Rays to harness their young talent and win the American League East. 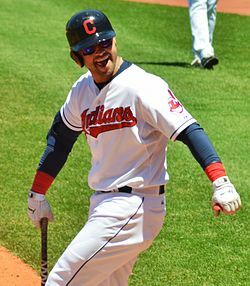 Nick Swisher and the Indians are a very good team, too bad the Tigers are in the way. The Tigers may well be the best team in baseball. Miguel Cabrera and the rest of the offense will put up plenty of offense while the pitching staff led by Justin Verlander and Max Scherzer could make short work of the opposition. The Twins and White Sox are both in full rebuilding mode and are fighting to stay out of the basement. The Indians are putting it together and could win the division if it was not for the Tigers and their dominance. The Royals will remain in the hunt for the post season well into September, however the youth which will make the Royals winners for years to come will fall just short this year. 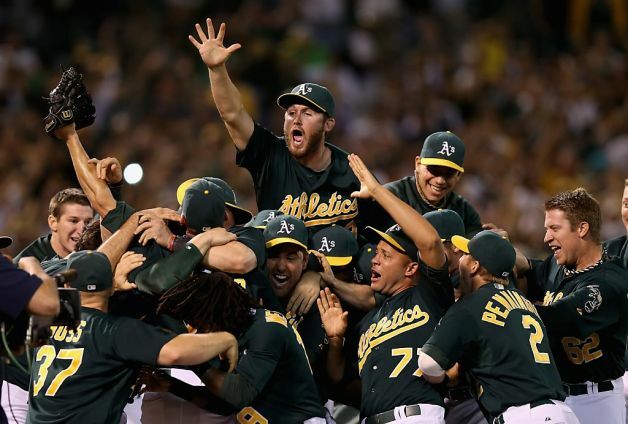 Moneyball has reinvented itself and Oakland will find new ways to continue winning. Their pitching will carry them while they will over power the rest of the West by doing all the little things. The Angels will be healthier and have better pitching, but the pitching still is not quite there, and the offense relies too much on power, so when the bats go quiet the Angels will lose ground. The Rangers have had too many injuries this Spring to dig put of an early hole. Texas should be back in the race next year. Robinson Cano is now the man and he will be enjoying an extra month of vacation as the Mariners will be out of the hunt by mid summer. The Astros will be a major threat. Not now, in the future. 2014 is about not losing 100+ games again. 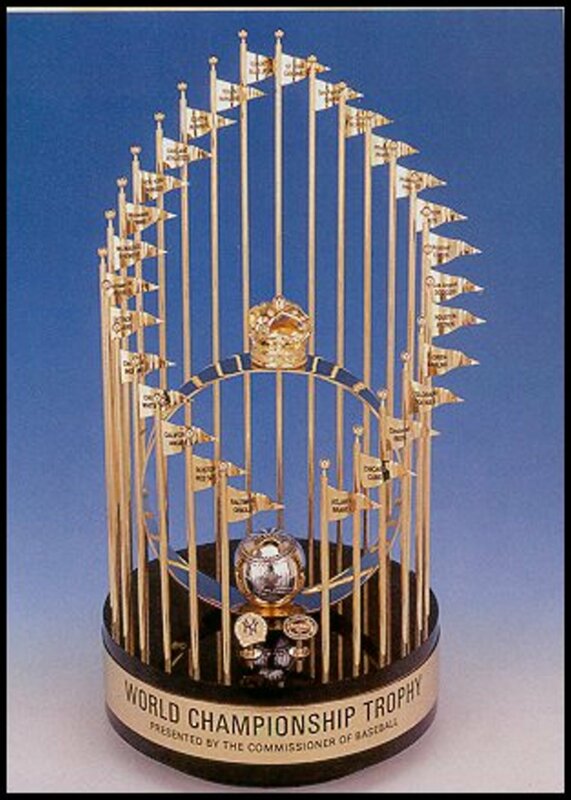 Every team is playing to win this trophy. Will Bryce Harper be his own worst enemy again and get hurt? The Atlanta Braves will get more production from B.J. Upton and Dan Uggla, things could not have gone worse for these two in 2013. 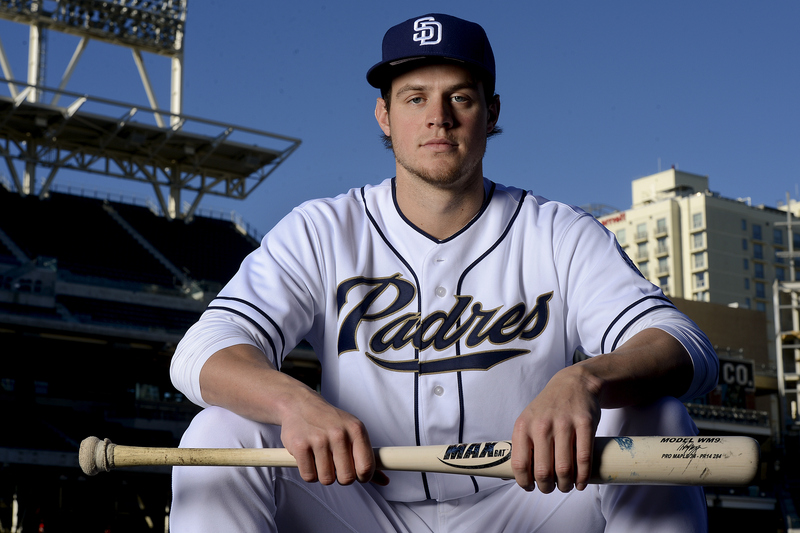 A rebound by two of the regular line up and the signing of Ervin Santana should pick up what was lost when Kris Medlen and Brandon Beachy went down for the season. Washington Nationals have the tools but should fall just short. Injuries remain a constant worry for Bryce Harper and Stephen Strasburg. Both the offense and defense are among the best in baseball, but they still have not bridged the gap to the elite even with signing Doug Fister. The Mets will pass the Phillies as New York is building towards the future while Philadelphia is still dreaming that it is 2008. The Marlins will be better, but they need more time before the can get out of the basement. The Cardinals will once again be the class of the National League Central. The Cardinal way should have an easier time winning the division this season, as they are among the best in all of baseball. The Reds lost Shin Shoo Choo and Bronson Arroyo but they will have a full season of Billy Hamilton tearing up the base paths. The Pirates, like the Red Sox, had nearly every bounce go their way last season. Pittsburgh should see I slight step back this season, but not like in their two decade absence from the playoffs. The Cubs and Brewers are both a mess. Neither is in a quick rebuilding cycle and both should be out of the race fairly quickly. Look for a fight to stay out of the basement of the Central. The Dodgers, and their highest payroll in Major League Baseball, should keep the momentum of 2013 going as they should have the West won easily in time to align their rotation for the playoffs. The Giants should stay with the Dodgers for a while this year, but ultimately their season comes down to how healthy Matt Cain, Tim Lincecum, Tim Hudson, and company can stay. If healthy San Francisco could do some damage. The Diamondbacks cannot keep pace with the Dodgers and Giants and will be a strong 3rd place team all season that could dictate who does and does not make the playoffs. The Rockies and Padres are full of young talent. Colorado has Carlos Gonzalez and Troy Tulowitzki to lead their revival. San Diego is still seasoning their young talent at the Major League level. Look for San Diego to be the best last place team in baseball. Once the playoffs go through their paces the Cardinals will play the Athletic’s in the World Series. Oakland will win the World Series over the Cardinals 4 games to 2 as the Cardinals finally tire out due to late post season runs the last several seasons and the Athletic’s and their intangibles finally win a World Series in the Moneyball era. Love our picks? Hate our picks? Regardless this is what we think will happen in 2014. If we are correct in our picks it will be by luck, because anyone who knows baseball knows it is never predictable. We have had Opening Day now lets get going and see how the season works out. As the off season rolls along, discussions between teams and free agents are starting to heat up. The bigger names will start to fall in place now that a certain Second Baseman, who played in the Bronx last year is off the market. 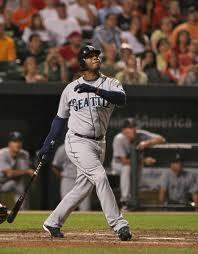 Robinson Cano’s contract with the Seattle Mariners has signed the third largest contract ever, tied with Albert Pujols. Both contracts are for 10 years and $240 million. Not quite what he wanted, as Robinson Cano was seeking a contract worth $310 million over 10 years. To put that into perspective, the Pacific island nation of Tuvalu had a GDP in 2010 of $36 million, or $5 million more than Cano was seeking annually While to the average person this is more money than we can imagine being paid, for an elite Major League Baseball player it is not quite the same stretch. Every year pundits write baseball’s obituary, saying it is a dying sport. If they are right, then why do salaries keep going up, why do sponsors keep spending millions to advertise with Major League Baseball? Dating back to the last Major League Baseball strike in 1994-1995, the yearly salary for the highest paid player has risen from Barry Bonds’ $7.29 million to Alex Rodriguez‘s $27.5 million. That is a 377% increase in 19 years. I would say that is representative of a sport that has plenty of life. So now that I have debunked the idea that baseball is on life support, lets look at whether Robinson Cano is worth, in baseball terms, the $310 million contract he was seeking ($31 million average annually), or even the $240 he will receive ($24 million average annually). Since the start of the 1995 season the following players have had the highest annual salary: Barry Bonds, Ken Griffey Jr., Albert Belle, Barry Bonds (again), Greg Maddux, Pedro Martinez, Mike Piazza, Mo Vaughn, Kevin Brown, Roger Clemens, Carlos Delgado, Alex Rodriguez, and Alex Rodriguez (again). Excluding the pitchers on the list (Maddux, Martinez, Brown, and Clemens), and comparing Cano’s career to the other highest paid players, this is how Cano stacks up statistically. 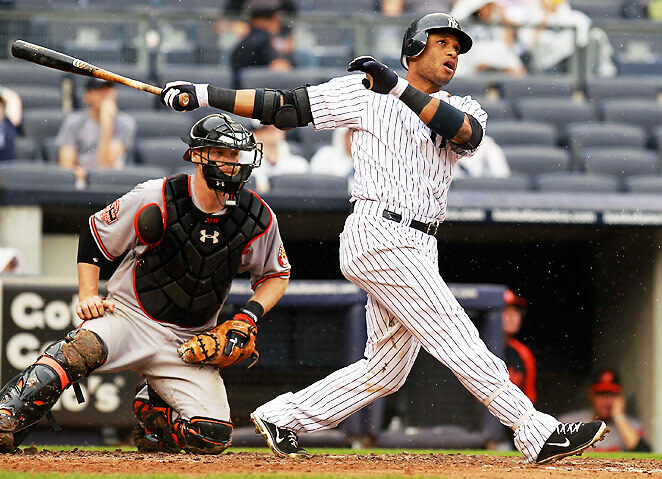 Robinson Cano is seen as a slugger who can change a game with one sing of his bat, although perception and reality may be out of alignment. He is well established in Major League Baseball after 9 seasons. The highest paid players in Major League Baseball since the strike in 1994 have all played 8 years or fewer except for Barry Bonds and Alex Rodriguez when they both signed contracts which made them the highest paid player in baseball for a second time. Examining Cano’s career statistics against the other members of this list at the time they were the highest paid player in Major League Baseball he has scored more Runs than everyone except Bonds* and Rodriguez* (both when they signed their second contract). 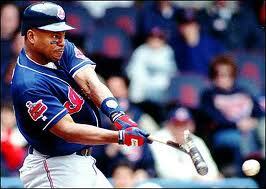 Only Rodriguez* had more career Hits and more Doubles. Belle, Bonds*, Vaughn, and Rodriguez* had more Home Runs. Bonds* and Rodriguez* had more RBIs. Bonds, Griffey, Belle, Bonds*, Rodriguez, and Rodriguez* had more Stolen Bases. Bonds, Griffey, Belle, Bonds*, Vaughn, Delgado, and Rodriguez* had more Walks. Bonds, Griffey, Belle, Piazza, and Rodriguez had fewer Strikeouts. 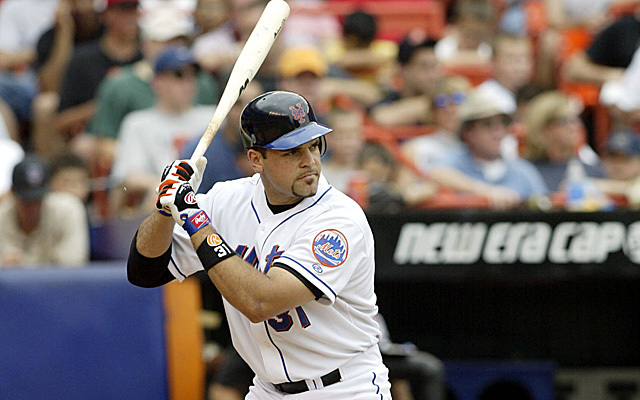 Only Piazza and Rodriguez had a higher career Batting Average. Everyone had a higher career On Base Percentage. Everyone but Bonds had a higher Slugging Percentage. Everyone had a higher OPS than Cano. Ultimately I think what Robinson Cano is as a player is a hard hitting Second Baseman who can collect a lot of hits, drive the ball in the the alleys for doubles and hit 20 to 30 home runs a season. It is important to remember that Yankee Stadium is easier to hit home runs in than Safeco Field, so be prepared to see a bit of a drop in Cano’s home run total. He is billed as a slugger, and he approaches his at bats as such. However with two strikes he is smart enough to take what he is given instead of continuing to swing for the fences. 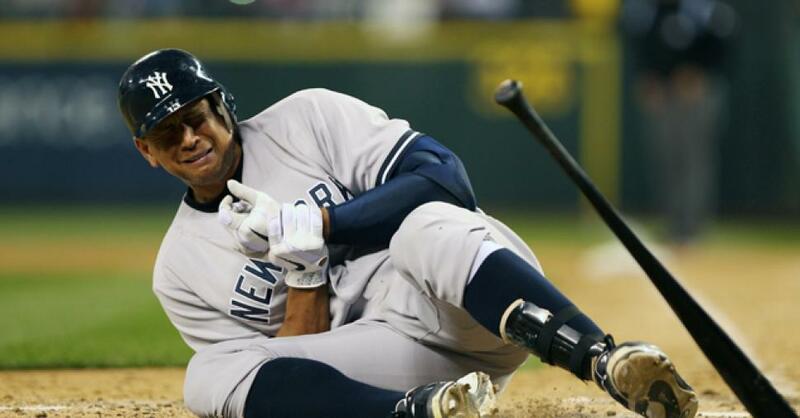 Will Cano make a difference for the Seattle Mariners? Yes. Will he be an elite player at the end of this contract? Doubtful. Should Cano, and any other player, make as much money as they can? Absolutely. Cano is an elite player. Is he a future Hall of Famer? He is trending that way but he has work left to do. I believe is initial demand of $310 million was way over his value, and the contract he signed is still high. The Mariners did over pay, but Cano will have a positive impact on Seattle, as they should start to contend in the American League West again soon.